After the closure of the National Guideline Clearinghouse website, we are pleased to share with you that the ECRI Institute has launched a new online repository of clinical practice guidelines: the ECRI Guidelines Trust™. The ECRI Guidelines Trust is a publicly available online repository of objective, evidence-based clinical practice guideline content. The repository includes evidence-based guidance developed by nationally - and internationally-recognized healthcare organizations and medical specialty societies. The searchable content includes Guideline Briefs and TRUST Scorecards developed from guidelines that meet the full Guidelines Trust Inclusion Criteria. 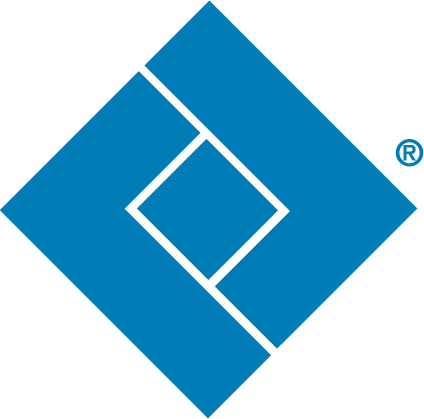 The ECRI Guidelines Trust will continually update and expand the content and features included in the repository to keep pace with the evolving field of guidelines. The ECRI Guidelines Trust is continuing a resource to promote evidence-based practice that has been highly valued by WOC nurses and other healthcare providers. We are pleased to be included in the ECRI Guidelines Trust, and encourage you to sign up for your free account to access clinical practice guidelines from a variety of national and international organizations. 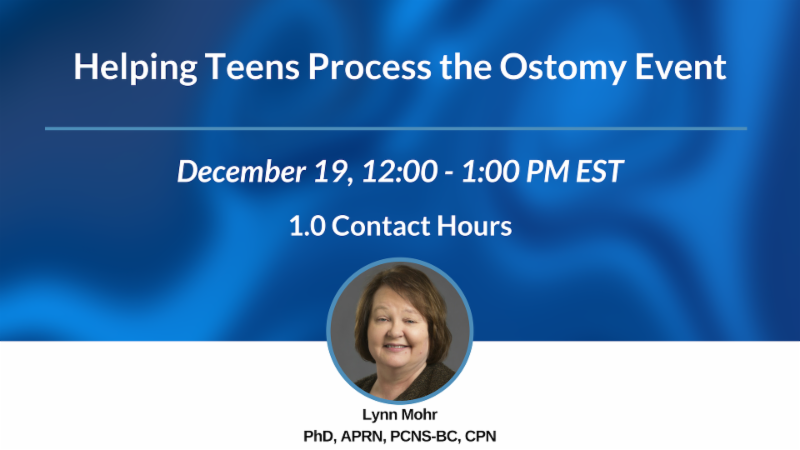 Register for the final rebroadcast of ostomy care sessions that were originally presented at the WOCN Society's 50th Annual Conference. This session is free, but registration is required. The session will include a live Q&A period with the speaker and participants will receive 1.00 contact hours upon successful completion. The following best practice documents have been updated and are available in the WOCN Document Library under the ostomy section. 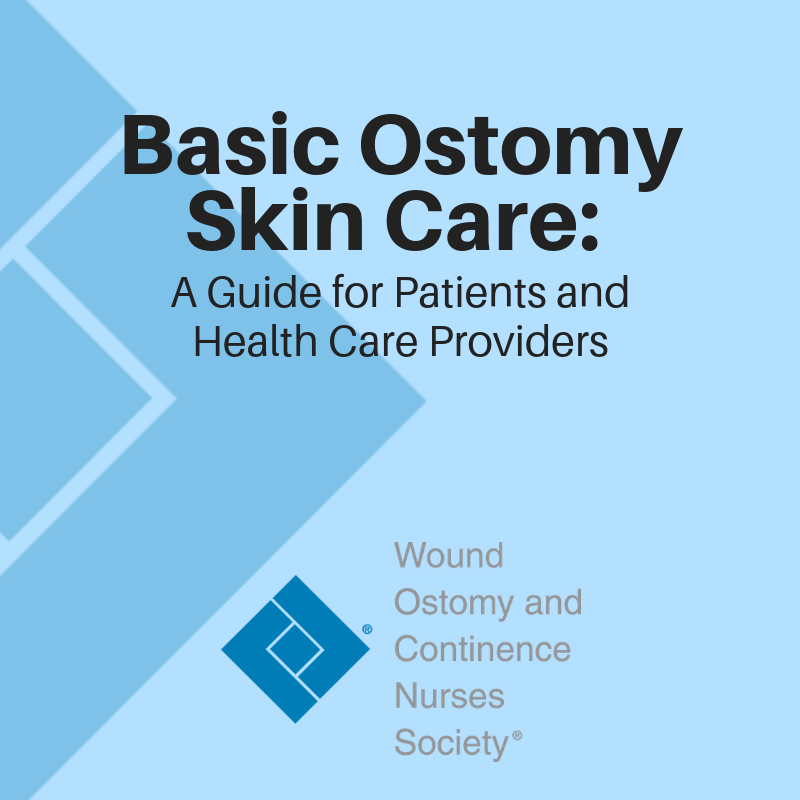 The Basic Ostomy Skin Care: A Guide for Patient and Health Care Providers is a resource that answers some of the most frequently asked questions regarding the care of a stoma and the skin around the stoma. Although this document was created with the consumer in mind, it may also be helpful for clinicians as a teaching tool. This is an updated version to the 2012 document. 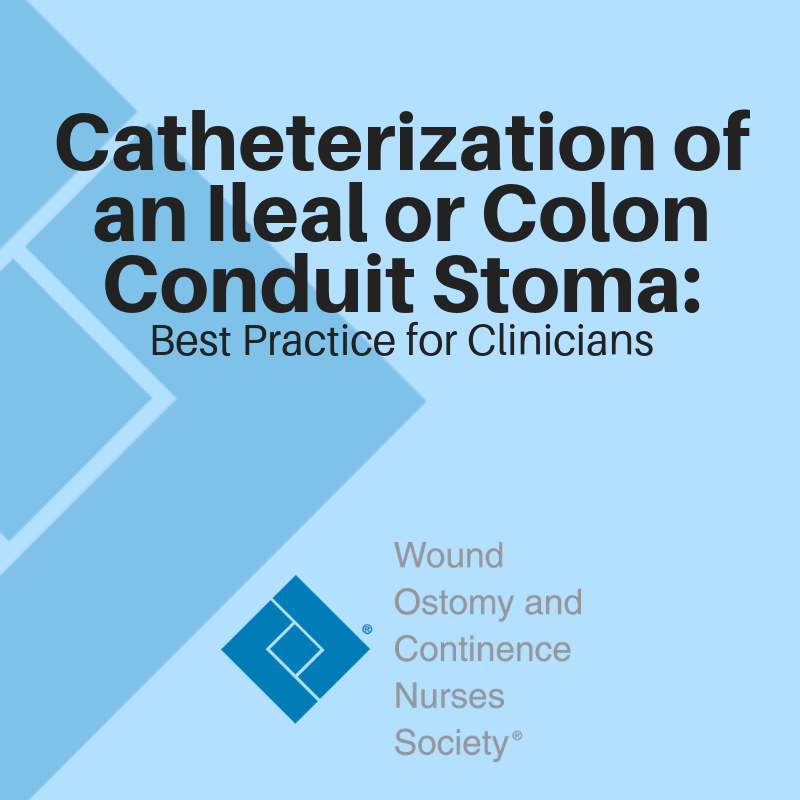 Catheterization of an Ileal or Colon Conduit Stoma: Best Practice for Clinicians provides a quick and easy resource for correct technique with, and without, use of a catheter. Included at the end of this document is the Urostomy Urine Sample Collection Instruction Card, which provides instructions for a patient to provide to the person collecting the urine specimen. This is an updated version to the 2012 document. What is the return on investment of a great idea? 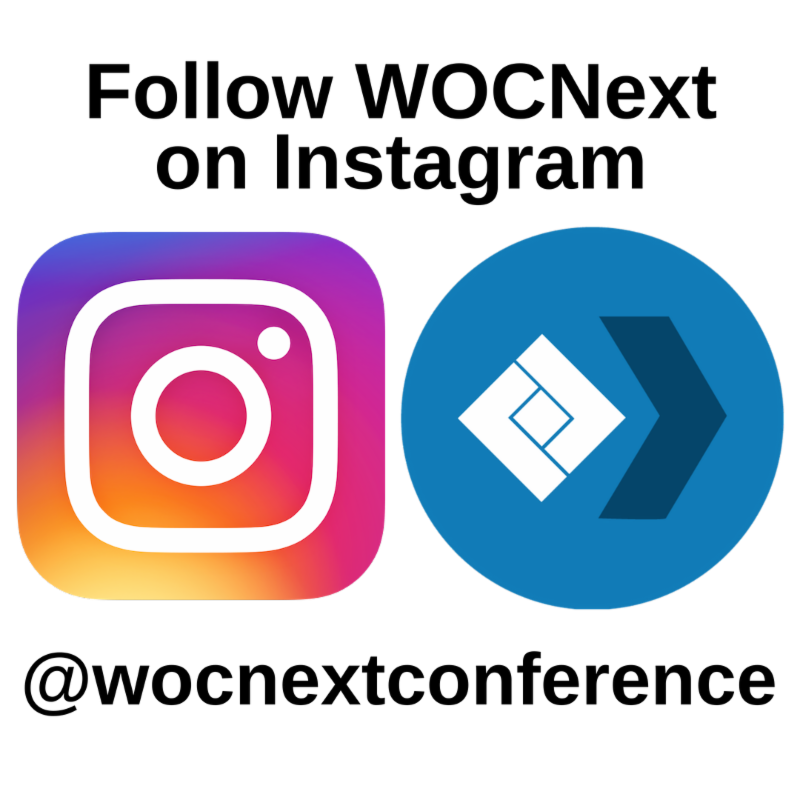 Creating connections and developing longstanding relationships with colleagues? Finding the solutions to patient problems? If you're looking to engage with industry experts, expand your WOC knowledge or identify and overcome some of the most challenging issues facing your patient populations today, the answer is simple--your return on investment for attending an event like WOCNext is enormous. When you register to attend WOCNext, you are choosing to make an investment in yourself, your future and your patients. Join us in Nashville, June 23-26, to discover the true value of WOCNext. Click here to view the WOCNext 2019 preliminary program. Are you a WOC nurse and want to thank a mentor who helped you along your journey? Have you received life-changing care from a WOC nurse and want to thank him or her? Donate to Fund the Future in honor of an extraordinary WOC nurse who has touched and impacted your life. A donation to Fund the Future is a unique way to show that special WOC nurse in your life how much you care. Each donation helps us create and grow a lasting network of certified WOC nurses, while generating a heightened awareness of the WOC specialty and further advancing the quality of life for people living with wound, ostomy and continence care needs. Any contribution is greatly appreciated. Thank you for your support! 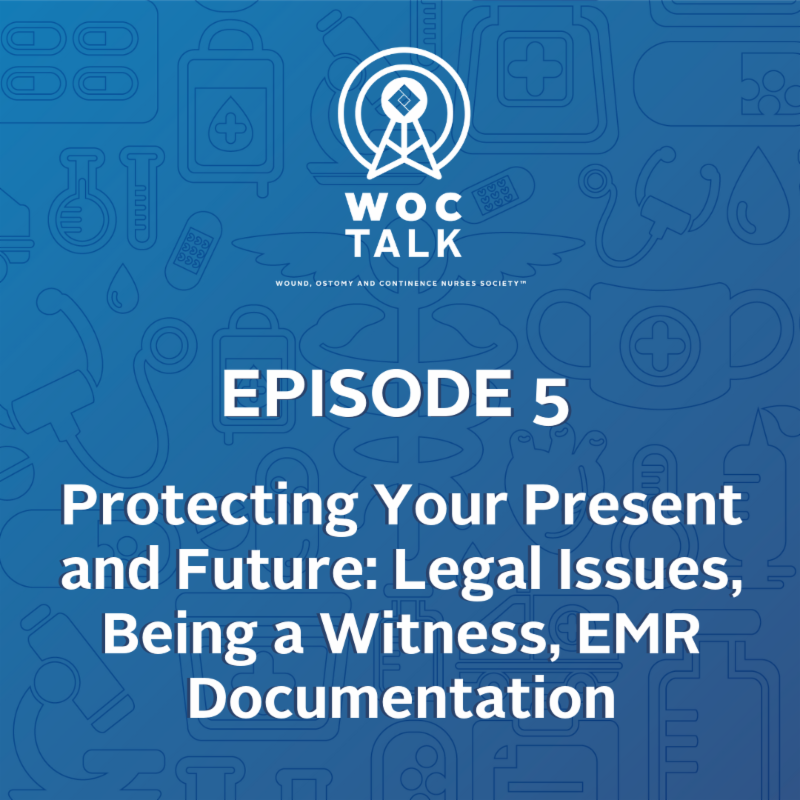 Episode 5 of WOCTalk, Protecting Your Present and Future: Legal Issues, Being a Witness, EMR Documentation, is now available. Subscribe so you never miss a new episode!